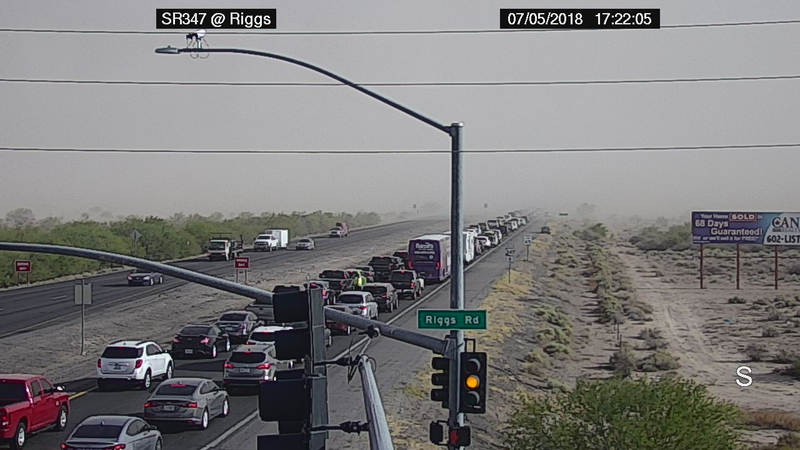 Blowing dust forced the closure of State Route 347 in both directions at milepost 184 south of Riggs Road near Maricopa, according to the Arizona Department of Transportation. There is no estimated reopening time. 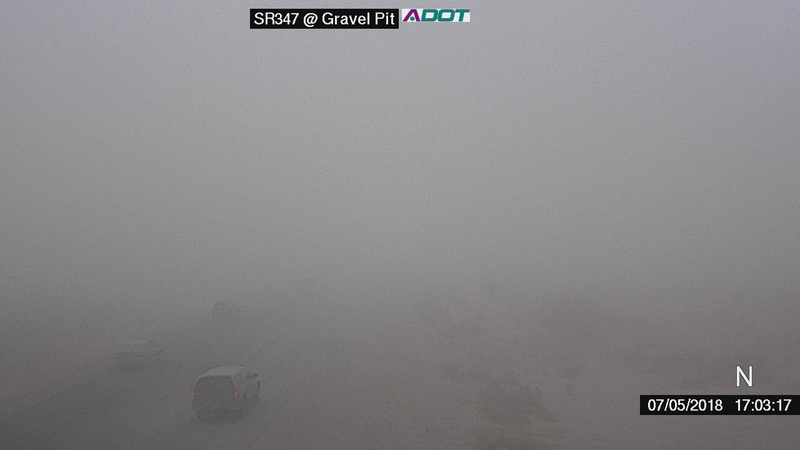 Dust blowing from several directions has impacted traffic in town and on SR 347. The dust also forced the closure of Interstate 10 in both directions at milepost 219 near Picacho.